With the advent of Siri, Google Voice Services, and Alexa, commanding technology with a single word has become seamless. Using the Alexa API to surf the web, play songs, and buy purchases from Amazon is only the tip of the iceberg. Alexa, your personal voice assistant brought to you by the Amazon Echo, can become fully integrated into your home’s everyday functions. This article discusses how you can use Alexa to her fullest potential while maximizing your home’s efficiency. What Is the Amazon Alexa? Almost everyone is familiar with the concept of the Amazon Alexa API, but what is she really? She made her debut more or less as an intelligent speaker, similar to the Google Services Voice Command or Siri. Over time, Amazon has dramatically increased the Alexa app capability. She can now understand thousands of commands and coordinate with several hubs, accessories, and third party applications. 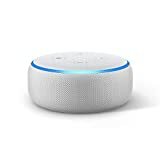 Alexa can’t be accessed from just any device. She is exclusive to Amazon products, such as the Amazon Echo, Echo Dot, and Amazon Tap. The Amazon Echo was her original platform. This device is slowly giving way to the less expensive, compact Dot and the battery-operated Tap. Each platform has access to Alexa’s intelligent skills and can be an excellent addition to your developing smart home. If you want to enjoy the Echo’s capabilities to the fullest, consider syncing her with a hub. The Amazon Echo works as a central hub in itself, however, when paired with home comfort hubs, the possibilities for automation are endless. Hubs such as the Samsung Smart Things, Wink, Phillips Hue, and Belkin WeMo can automatically control features of your home. This can include your lighting, thermostat, security, and even entertainment systems. These smart hubs can connect to several devices, allowing them to work in harmony while Alexa initiates processes with a simple command. For example, if you are connected to the Phillips Hue hub, you can program Alexa and the lighting system to understand different commands. For a funky party ambiance with multi-colored lights, you might save your presets as a scene within the Hue hub, then ask her to turn on this scene. Alexa can make every part of your daily routine easier, including cooking and laundry. Recently, GE launched the Geneva WiFi Connect line. These appliances can connect directly to your Echo device, allowing her to take control of any GE appliance you specify. This allows you to turn on your oven or start the laundry from anywhere in your house, as long as the Echo is within earshot. The GE Geneva Connect appliances can be controlled with androids as well, although GE highly encourages the seamless integration of the Echo. 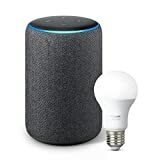 In fact, for a limited time, the Amazon Echo is being given away with the purchase of qualifying GE Connect appliances. Connecting to hubs can make life simpler, but if you prefer to use the Echo for individual technology as well, consider connecting to the Nest Learning Thermostat. 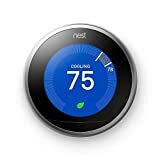 You can adjust the thermostat with the physical dial or you can adjust with Alexa or another smart device. The Echo’s voice commands are especially helpful when you pair the Nest and other Nest accessories through the IFTTT app. With this app, you can not only control the thermostat, but also the Nest camera and alarm system. With the purchase of the August Connect WiFi Module or the August Doorbell Cam, you can pair the Echo with the August Smart Lock. This allows you to lock and unlock your door with a simple command. You might consider this a very simple task. However, if your hands are busy or you can’t get to the door from an injury or disability, this feature can be a lifesaver. In addition, you can ask her for the status of your smart lock, ensuring that you never have a sleepless night wondering if you’ve locked the door. Perhaps one of the Echo’s most promising integrations is with the IFTTT system. This free service harmonizes the functions of several devices and apps into one central program. The app makes use of a simple formula to create technology recipes or functions. This same concept is applied with the Echo’s voice commands. 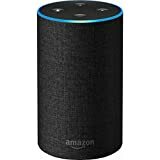 For instance, if you lose your phone and it is connected with the IFTTT software and you have the appropriate applet, you can tell the Echo to find your phone. IFTTT triples the capabilities of her functionality. With a single command, she can list off and print your grocery shopping lists, turn on lights when your work alarm goes off, and turn off your entertainment systems. Syncing her to IFTTT also allows previous commands to become seamless. For instance, with IFTTT you can command the Echo to lock down the house, which includes locking the door, shutting off the lights, and adjusting the thermostat for the night. The capabilities of the Amazon Alexa are only growing. Over time, she can become fully integrated into your home’s daily functions and even your everyday life. To get a head start on this trend, begin syncing with the most popular accessories, such as smart hubs, appliances, thermostats, security devices, and integrative applications such as IFTTT. With these devices, you can explore the Echo’s full potential and create the efficient smart home you’ve always dreamed of.